Back when this country was in its infancy it needed something to define it. According to legend, Betsy Ross used her seamstress skills and crafted a flag that would represent this country forever after. 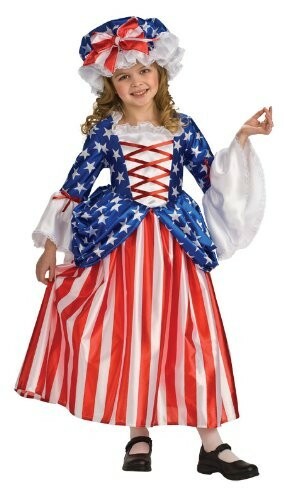 Now your little girl can become the famous icon from America's past in brilliant red, white, and blue! 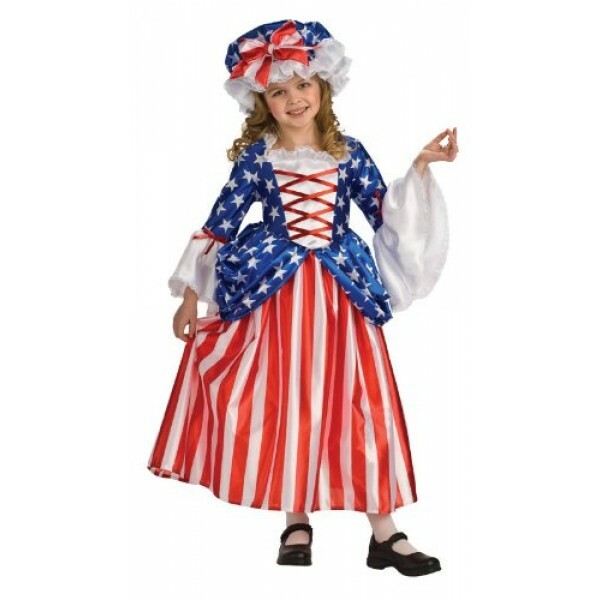 This deluxe costume set includes a dress and cap.